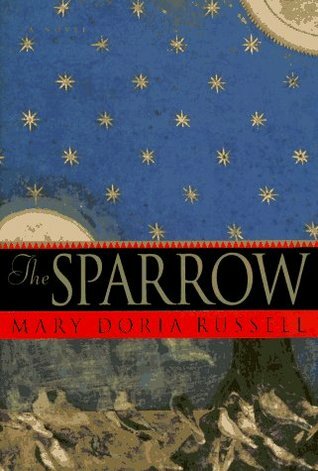 The Sparrow, an astonishing literary debut, takes you on a journey to a distant planet and to the center of the human soul. It is the story of a charismatic Jesuit priest and linguist, Emilio Sandoz, who leads a twenty-first-century scientific mission to a newly discovered extraterrestrial culture. Sandoz and his companions are prepared to endure isolation, hardship and de The Sparrow, an astonishing literary debut, takes you on a journey to a distant planet and to the center of the human soul. It is the story of a charismatic Jesuit priest and linguist, Emilio Sandoz, who leads a twenty-first-century scientific mission to a newly discovered extraterrestrial culture. Sandoz and his companions are prepared to endure isolation, hardship and death, but nothing can prepare them for the civilization they encounter, or for the tragic misunderstanding that brings the mission to a catastrophic end. Once considered a living saint, Sandoz returns alone to Earth physically and spiritually maimed, the mission's sole survivor--only to be accused of heinous crimes and blamed for the mission's failure.